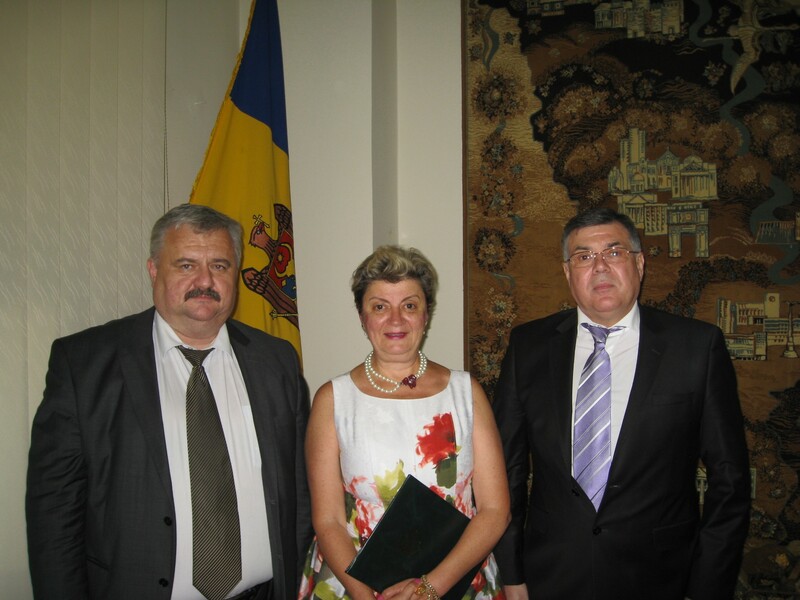 The Government of the Republic of Moldova awarded Dr. Hermina G.B. Anghelescu, Associate Professor at the School of Library and Information Science, Wayne State University, with the First Rank Distinction, one of the highest distinctions in the country, for her longstanding activity in librarianship and for her continuing and sustained support of Moldovan libraries. Anghelescu first visited Moldova in 2001, under the auspices of the US Department of State, International Information Program. She has returned to Chişinău, the capital city, and to other towns several times and she has remained involved with library activities throughout Moldova. As a consultant to the Bill & Melinda Gates Foundation Anghelescu supported Moldova’s cause to receive a multi-year eleven million USD grant that will lead to the modernization of public library services, implementation of new information and communication technologies in some 1,000 public libraries, and public librarians’ training. In addition, Hermina Anghelescu was appointed to be a member of Moldova’s National Library Commission. The award ceremony took place at the Republic of Moldova’s Embassy in Bucharest, Romania, in the presence of Moldova’s Deputy Minister of Culture, Igor Sarov, and Moldova’s Ambassador, Iurie Reniţă.